Carpet manufacturers recommend carpet cleaning be performed by a professional carpet cleaner every 12 to 18 months to maintain warranty coverage. Most consumer complaints are not related to a manufacturing defect. Many complaints can be attributed to improper carpet installation, improper carpet care, or misinterpretation of warranties. The most common complaint involving carpet is related to improper carpet installation. These complaints should be directed to the carpet retailer or carpet installation subcontractor if the carpet installation was not contracted by the retailer. Improper care and maintenance related problems are another common consumer complaint. Often, appearance changes in traffic areas, color changes, excessive soiling, and staining can be attributed to improper care and maintenance. 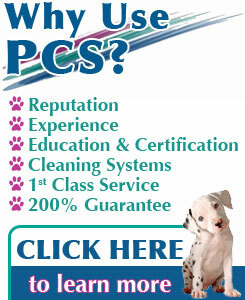 Some warranties require that receipts for professional cleaning services be supplied for verification of proper care. Another common warranty issue is the incidence of water intrusion or flood damage. Most carpet manufacturers void warrantees after flood damage has occurred. Most insurance companies prefer to restore carpet that has been subjected to water damage. Since manufacturers rarely become involved in the details of these water intrusion events, they are uncertain how the carpet will continue to perform after flooding. Finally, many carpet complaints can be attributed to misinterpretation of specific warranties. The most common warranty misinterpretations are related to wear and stain. Many consumers assume that changes in the appearance of traffic areas are related to wear. However, most wear warranties cover a loss of pile fiber rather than a change in appearance. Most stain warranties cover common food and beverage stains, but consumers often file claims prior to adequate removal attempts. Newer stain warranties require the consumer to contact an area carpet cleaner and the manufacturer will intervene only if the stain cannot be removed. Other items that are not covered under stain warranties include bleaching agents, chemical agents, and fading. For a complete description of all items covered under all warranties, obtain a written copy of all warranties prior to carpet installation.